Known for its breathtaking mountains, its excellent fishing, and its awe-inspiring forests, Idaho is a nature lover's paradise no matter what the season. There's no better way to enjoy Idaho's beauty than from the comfort of a resort - here are the best resorts the state has to offer. 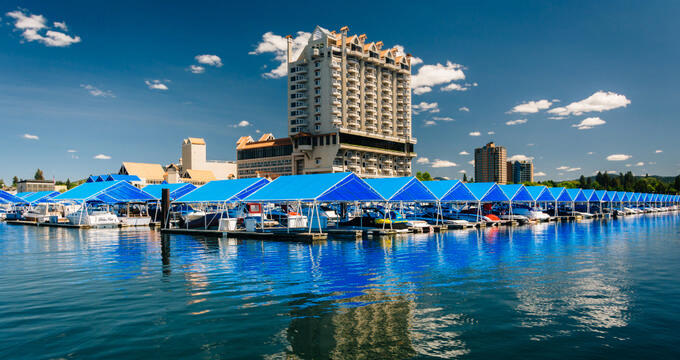 Set on the shores of the beautiful Lake Coeur d'Alene, the Coeur d'Alene Resort is a luxurious, upscale resort with more than 330 rooms for guests to choose from. The comfortable contemporary rooms are equipped with complimentary Wi-Fi and flat -screen TVs; some also boast private balconies, fireplaces, and bay windows with views of the lake. When not relaxing in their rooms, guests are welcome to enjoy the lake, head to the spa for a massage, or play a round of golf on the resort's 18-hole course, which features a unique floating green on the 14th hole. The Sun Valley Mountain Resort has been popular with people from all walks of life since it was first opened in 1936, and the Sun Valley Lodge is the place to stay if you want comfortable accommodation located right on the mountain. The rooms boast custom furnishings and spa-like bathrooms with soaker tubs; some offer extra features like fireplaces, golden granite floors, and spacious sitting rooms. Guests who want an extra-special stay can even book one of the lodge's "celebrity suites", which are named after some of the various stars who have visited the resort over the years. Proudly family owned and operated, the Diamond D Ranch is a stunning 300-acre property surrounded by the natural beauty of the Salmon River Mountains. Guests can choose between bed-and-breakfast-style rooms in the main lodge and private cabins with private bathrooms and cozy living rooms. Three meals a day are included in all room rates; guests will also enjoy full use of the ranch facilities, including the swimming pool and hot tub, the private fishing lake, and the archery range. There is also a full schedule of complimentary activities like guided trail rides, gold panning sessions, campfires, and yoga classes. Tucked between the Sawtooth Mountain Range and the White Cloud Mountain Range, the 900-acre Idaho Rocky Mountain Ranch is the perfect place to experience an authentic taste of the true western lifestyle. A concierge service is offered to help guests choose between the seemingly endless activities in the area, including horseback riding, fishing, mountain biking, and hiking. Guests looking for a more relaxing getaway can also relax in the ranch's natural hot spring pool or simply sit in a rocking chair on the porch and enjoy the views. All meals are included in the rate, and live music is held four nights a week. 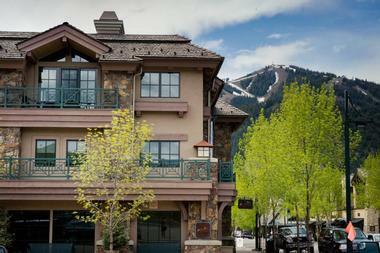 Conveniently located in the heart of downtown Ketchum, Les Saison Resort is a luxurious resort property with an exclusive selection of two- and three-bedroom condos furnished with custom lighting, fireplaces, granite countertops, and beautiful handcrafted furniture. All units also come with private patios and barbecues, and guests are also welcome to make use of the communal rooftop pool, soaking tubs, on-site spa, and well-equipped fitness center. The resort is also proud to offer convenient services like daily housekeeping, an on-site concierge, a valet service, and pre-arrival grocery shopping for guests who want to relax as much as possible. 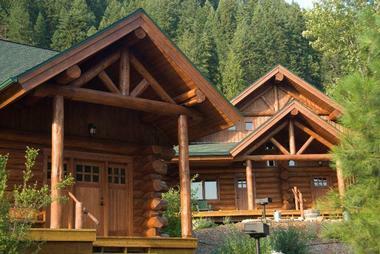 As you might guess from the name, the Middle Fork Lodge can be found on the untouched Middle Fork of the Salmon River. The resort is a wonderful blend of rustic and luxurious; despite its remote location, it offers gourmet cuisine, five-star customer service, and comfortable rooms and cabins equipped with marble bathrooms and luxury linens. Guests are also free to enjoy the property's communal spaces, including the dining room in the main lodge and the cozy great room, which features a large stone fireplace. Activities like fishing, hiking, and horseback riding are offered year-round, and staff are also happy to arrange custom special-interest trips. Offering one-, two-, and three-bedroom condos, the Pend Oreille Shores Resort is perfectly set up for a relaxing getaway. All condos are fully furnished, and communal amenities include indoor and outdoor hot tubs, a swimming pool, and an athletic club with racquetball courts and a weight room. Plenty of activities are available year-round; boating, swimming, and canoeing are popular in the summer, while wintertime guests often bring their snowmobiles and skis or snowboards. Canoes and paddleboats can be rented from the resort, and the events team plans fun activities and events for guests of all ages. 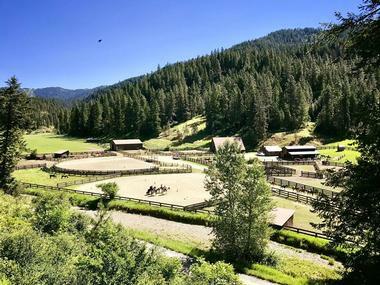 Set on a gorgeous 560-acre property next to the Coeur d'Alene Mountains, the Red Horse Mountain Ranch offers all-inclusive week-long dude ranch vacations made special by their signature Western hospitality. Rates include three meals a day, guided adventure activities, laundry and housekeeping services, and accommodation in either a private cabin or a luxurious suite. Popular activities include horseback riding, fly fishing, archery, and kayaking; a special kid's program is offered for children 3 years and up. The ranch is open between May and October; family packages are available from June to August, and special adult-only packages are offered in September and October. The River Dance Lodge is located overlooking the Clearwater River, and it features a collection of custom-built log cabins and canvas glamping tents that make an excellent base for exploring the surrounding wilderness. The resort specializes in all-inclusive packages that include meals and a full program of activities, but simple accommodation and meal packages are also available for guests who prefer a do-it-yourself approach. A wide range of activities is offered year-round; popular options include rafting or kayaking on the nearby rivers, fly fishing, and horseback riding in the surrounding mountains. In-room massages can also be arranged upon request. 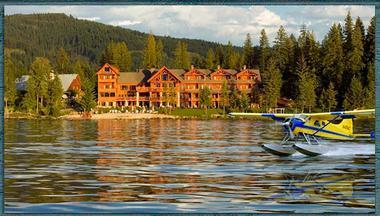 The largest ski resort in Idaho, the Schweitzer Mountain Resort boasts almost 3000 acres of skiable terrain. A variety of accommodation options are available, including two lodges, a good number of on-mountain condos, and an RV park that's open during the summer. There's no shortage of activities for guests to enjoy on the mountain; the winter season primarily draws guests who want to ski and snowboard, but the summer months bring the opportunity to hike, mountain bike, trail run, geocache, and play disc golf. 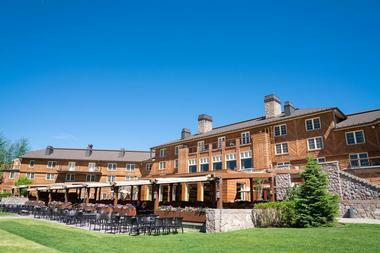 Guests can often book packages that include breakfasts, discounts on lift tickets, and access to other resort amenities. 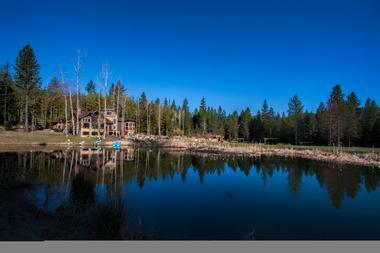 Established in 1948, the Shore Lodge is located right on Payette Lake only a mile outside the resort town of McCall. The rustic lodge rooms are equipped with flat screen TVs and mini fridges; some also feature private terraces and fireplaces. Guests who would like more privacy and space can stay in the beachfront cottage, which has a full kitchen and a private hot tub. Dining options include a casual grill and an upscale restaurant serving Pacific Northwest cuisine, and a daily resort fee covers Wi-Fi, on-site parking, a local shuttle, and access to the resort's private beach, pool and hot tub, and tennis courts. 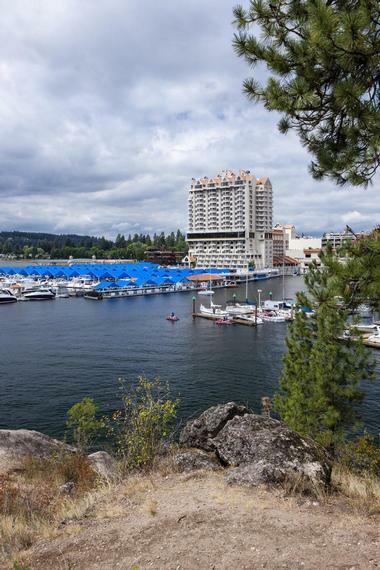 Nestled in the countryside on the Coeur D'Alene Reservation, the Coeur D'Alene Casino Resort Hotel offers a casino, an 18-hole golf course with a driving range, and multiple restaurants and bars for guests to enjoy. There are two hotel buildings to choose from; the spa tower offers modern rooms and suites with floor-to-ceiling windows, while the mountain lodge has an excellent selection of rustic, pet-friendly accommodation. Complimentary Wi-Fi is available all throughout the hotel, and there are plenty of other amenities for guests to enjoy as well, including a pool, a tobacco store, and a gift shop. Housed inside a beautifully rustic stone building, the Talus Rock Retreat caters to visitors looking for a peaceful Tuscan-style getaway. There are four rooms and two suites to choose from; all are individually decorated, and the largest suite can accommodate up to 12 guests. Depending on which room they choose, guests will enjoy in-room amenities like jetted tubs, private balconies or wraparound decks with views of the mountains, and even a private theater. 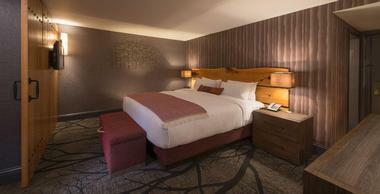 A light continental breakfast is included in the room rate, and cooked breakfast items are available for a surcharge. Dinner can be arranged upon request. 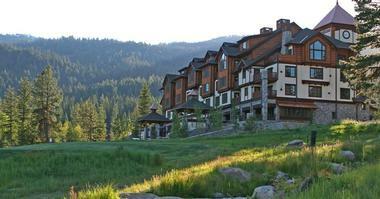 Only a two-hour drive away from Boise, Tamarack Resort is an outdoor paradise that's conveniently open four seasons a year. In addition to world-class skiing and snowboarding, the resort offers zipline canopy tours, plenty of hiking trails, guided whitewater rafting trips on the Payette River, a lake with a cabana that rents out everything from kayaks to sailboats, and an excellent selection of restaurants. There is also a wide range of accommodation options for visitors to choose from, ranging from comfortable hotel rooms to cozy mountain-style ski chalets and cottages that can accommodate groups of up to 8 people. Teton Springs Lodge & Spa by Natural Retreats is often rated as the best resort in Idaho, and it's not hard to understand why. The resort boasts amenities to cater to people of every interest; highlights include a state-of-the-art spa, on-site heli skiing, stocked fishing ponds, and an elegant wine bar. Other dining options include an American-style restaurant and a poolside grill, which is open only during the summer months. 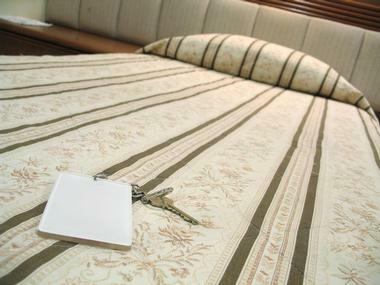 Most guests choose to stay in one of the resort's rooms or suites, which feature flat screen TVs and kitchens or kitchenettes, but several cabins are available as well. 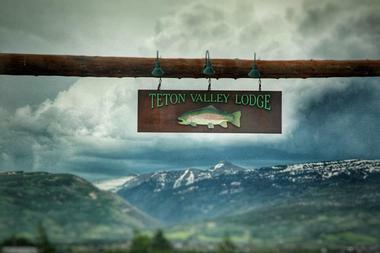 Perched on the riverbank with stunning views of the Teton Mountain Range in the background, the Teton Valley Lodge offers all-inclusive fly-fishing vacations on Henry's Fork, the Teton River, and the South Fork of the Snake River. The all-inclusive packages range from three to six nights in length, and all include chef-prepared meals, complimentary beer, wine, and soft drinks, guided fishing trips with all equipment except fishing rods provided, and accommodation in one of the resort's one- to three- bedroom cabins. 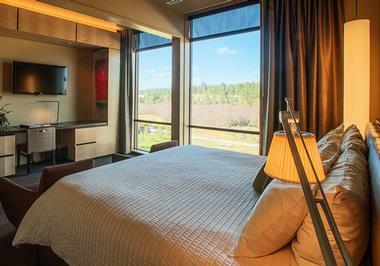 When not fishing, guests can canoe down the river, enjoy an in-room massage, or watch TV in the comfortable lounge. Located only a 10-minute walk away from Lake Cascade State Park, the Ashley Inn offers cozy, individually-furnished rooms with fireplaces. Many of the rooms feature bay windows with views of the mountains, but guests who want to get even closer to nature can head down to the hotel's private beach on the river to use the hotel's canoes and kayaks free of charge. Other amenities include a fitness center, an indoor swimming pool, and a hot tub. A breakfast buffet is included in the room rate, and guests are also welcome to enjoy complimentary warm cookies and milk every evening. 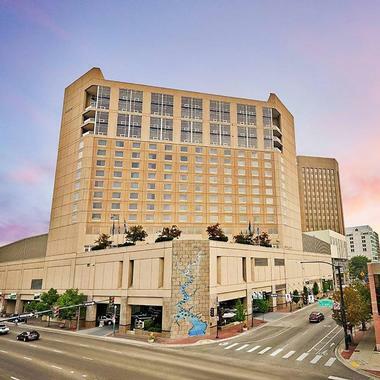 Sitting right next to the CenturyLink Arena, the Grove Hotel is a modern hotel and conference center with more than 30,000 square feet of meeting and event space. The contemporary rooms boast marble bathrooms and modern amenities like flat screen televisions and complimentary Wi-Fi; some also come with jetted tubs, separate living areas, and direct access to the hotel's public outdoor terrace. There are plenty of other communal spaces for guests to enjoy as well, including a lounge that often hosts live music, a sports bar, and a restaurant with an open kitchen. A complimentary shuttle service is offered to and from the airport. Offering cozy waterfront accommodation, The Lodge at Sandpoint can be found right next to Long Bridge on Lake Pend Oreille. The lodge has its own private beach for guests to use, and there are also two outdoor hot tubs perfect for chillier days. 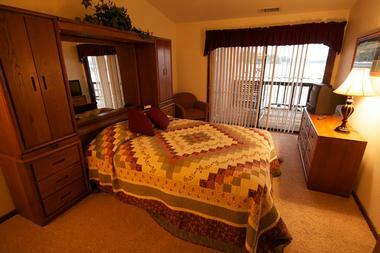 All rooms come with complimentary Wi-Fi, cable TV, and minifridges; some also have balconies with views of the water. 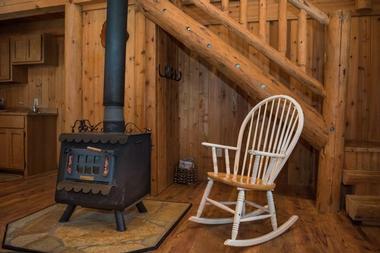 Several rustic cabins with kitchens are available for rent as well. A continental breakfast is included in the room rate, and guests are welcome to enjoy their other meals at the on-site restaurant, which specializes in New American cuisine. 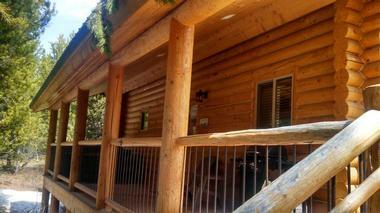 Boasting an excellent location neat Yellowstone National Park, The Pines at Island Park is an all-cabin resort set on a beautiful forested property. 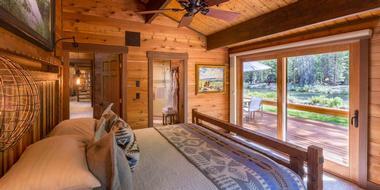 The cabins have between one and three bedrooms, and they can accommodate between four and eight people. All the cabins feature sleeping lofts and private decks with hot tubs and barbecues; most also come with full kitchens, but some of the one-bedroom cabins have kitchenettes. 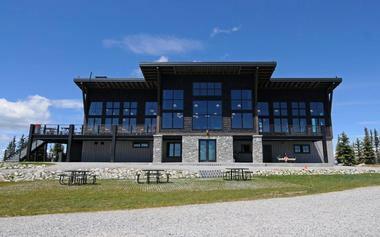 Guests who prefer not to cook their own meals are welcome to dine at the on-site bar and grill. Three-night minimum stays are required, and on-site parking is available. 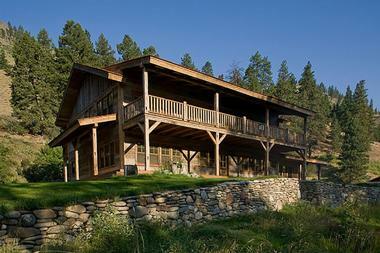 Surrounded by the Bitterroot National Forest, the Triple Creek Ranch, A Montana Hideaway is tucked away on a gorgeous 50-acre ranch in the heart of the Rockies. The resort specializes in luxurious all-inclusive vacation experiences; gourmet meals and wine are included in the rate, as are activities like horseback riding, fly fishing, and skiing. Accommodation options include cozy log cabins and ranch style homes, all of which come with fireplaces, flat screen TVs, and shared or private hot tubs. Guests are also welcome to enjoy the heated outdoor pool and tennis courts, and massages can be arranged for an additional fee. One of the best Western vacation ranches in the entire country, the Western Pleasure Guest Ranch is an excellent choice for anyone who wants to enjoy a traditional dude ranch vacation. The ranch's vacation packages include everything you need for a relaxing vacation, including three delicious meals per day, accommodation in a log cabin or a lodge room, evening entertainment, and daily horseback rides. The horses can be ridden by people of all experience levels, but there are plenty of things for non-riders to do on the ranch as well, including archery, hiking, mountain biking, and winter sleigh rides.